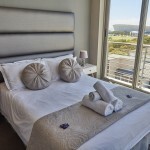 In the heart of the famous little village Greenpoint in Cape Town, you will find this Luxuriously furnished, Two Bedroom Two Bathroom self catering apartment with the most astonishing Atlantic Ocean & Stadium views from the bedroom, lounge, dining area & kitchen. The ultimate escape and perfect space. 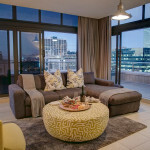 Welcome to this lovely self catering apartment in trendy Green Point just off the Main Road, this modern One Bedroom One Bathroom apartment located in the Legacy Building. This stylish apartment is perfect for business or leisure. 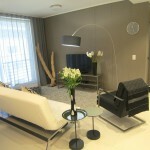 A modern beautifully furnished One Bedroom, Bathroom self catering apartment in central vibrant Greenpoint. 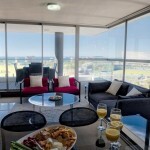 The apartment is spacious with a beautiful outside patio with plants, to dine or relax in.Roof top deck - spectacular 260 degree view of park, sea, golf course and stadium sparkling pool - covered braai facilities. Outside sun loungers covered area with comfortable sofas.Covered parking - bus stop outside walking distance to beachfront, waterfront-down the road to Long street nightlife. Spa, bottle store about 150 meters from the front of the building. Across the road is an awesome indigenous park with ponds, birdlife which you can picnic and relax. The path leads to the waterfront. 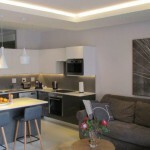 Imagine yourself in this new Luxurious 1 bedroom self-catering apartment. Feel at home with modern Architecture, beautiful decor and a balcony with outdoor furniture. Get access with Free Wi-Fi and Dstv. Walking distance to shops, restaurants & the V&A Waterfront. The building offers an elevator and 24 hour security. 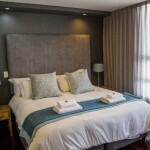 Stylish One Bedroom One Bathroom Shower only apartment in trendy Greenpoint, Cape Town, this apartment is perfect for any traveler as it is conveniently & centrally located. Close to the V&A Waterfront & white sandy beaches. Greenpoint is famous for the best restaurants, coffee shops, cafe's and night clubs. The Legacy offers secure parking and a pool for those hot summer days. 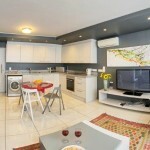 A modern One Bedroom One Bathroom self catering apartment located in Greenpoint. 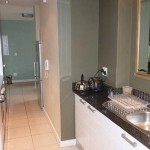 This apartment is central to all major Cape Town attractions, offers secure parking and a pool. Greenpoint has amazing restaurants, pubs, cafe's, bars & nightclubs. The V&A Waterfront and beachfront is also located close to the apartment. Beautiful One Bedroom One Bathroom modernly furnished self catering apartment in central Greenpoint close to all main Cape Town attractions. 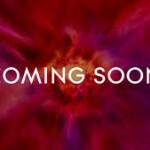 The complex offers secure parking & a pool. Greenpoint has amazing restaurants, pubs, cafe's, coffee shops & nightclubs. 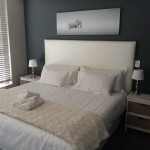 Luxuriously furnished, bright One Bedroom One Bathroom self catering apartment in the heart of Greenpoint, that offers guests a variety of amazing restaurants, coffee shops while Beaches, Forests and Winelands are situated not too far away either. Within walking distance from the City Centre, V&A Waterfront and Seapoint Promenade. 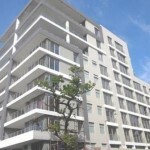 A sophisticated, ultimately luxurious Two Bedroom Two Bathroom apartment stylishly furnished. Beautiful open balcony with views of the mountain & stadium. Greenpoint is a trendy suburb of Cape Town. 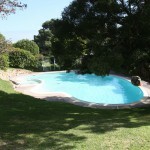 Close to the V&A Waterfront, Seapoint Promenade & breathtaking, white sandy beaches. Welcome to this self catering studio apartment situated in Green Point and just a stone throw away from the Green Point Stadium. Greenpoint has amazing restaurants, coffee shops. Not far from spectacular beaches & the V&A Waterfront. The complex offers secure parking and a lovely pool.